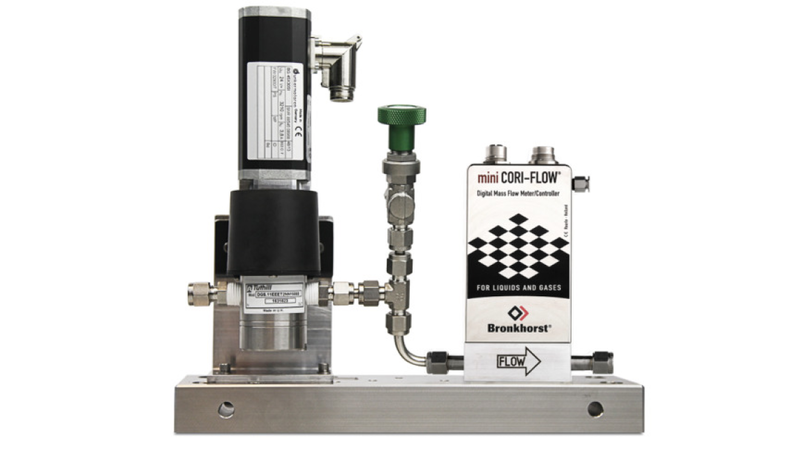 This liquid dosing system consists of a Coriolis flow meter, a gear pump, a filter, a check valve and interconnecting material. Furthermore Bronkhorst takes care of electrical and mechanical connection, testing and optimisation including the PID-integrated controller. A complete series of pumps is available for very small through to higher flow rates, for higher pressures, wide control ranges and for aggressive fluids. Further to operation in analog mode, the Liquid Dosing System can also be used digitally with RS232 or with an on-board fieldbus interface.